Electroneum (ETN) has risen 114% over the last 7 days on news that its Instant Payment API for vendors is now open and in Beta, making integration of cryptocurrency payments as easy as implementing PayPal. The company whose goal is to become the easiest and most accessible coin to use and integrate passed a major milestone last week making it not only the easiest but the fastest cryptocurrency payment system in the world. Electroneum a coin launched less than a year ago was designed for mass adoption, with nearly 3 million users already making its viral growth faster than Facebook and Twitter and that’s before advertising. Speaking of which the company have announced that this will now begin in October. With know your customer being implemented and various changes made behind the scenes the currency is well positioned to be accepted by governments should further financial regulation be introduced. The company are due to launch a gig economy website made available for the 350 million un-banked smartphone users in developing worlds to access the resources of the western world. Meanwhile the western world will have access will have access to that new community of users who in turn can provide digital services at competitive prices of course in ETN. As already pointed out though, 1,000’s of stores are already preparing to accept the coin as payment for goods online with many more planning on accepting in traditional bricks and mortar stores. In the video below you can see how one user has implemented the payment system already for the sale of ETN merchandise using the fantastic WooCommerce plug he created. While the payments are not actually transferred instantaneously they are checked and ringed fenced, notifying the vendor that the money is safe and on its way. The payment is then sent over minutes later. For some this may seem trivial, others may think that its not actually instant, but is that really of any importance – the main objective is to make a payment at the checkout without any delay and this system certainly delivers on that promise. Most users when asked expect the coin to be within the top 10 at some point which would currently give a market cap of $1,972,887,907 nearly $1,900,000,000 more but which ever way you look at this grossly undervalued coin its certainly going to climb the ranks over the coming weeks. The two most popular exchanges for trading Electroneum are KuCoin and Cryptopia. 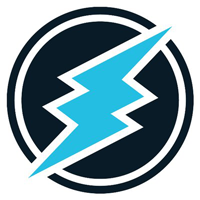 Click Electroneum ETN for the full archive.